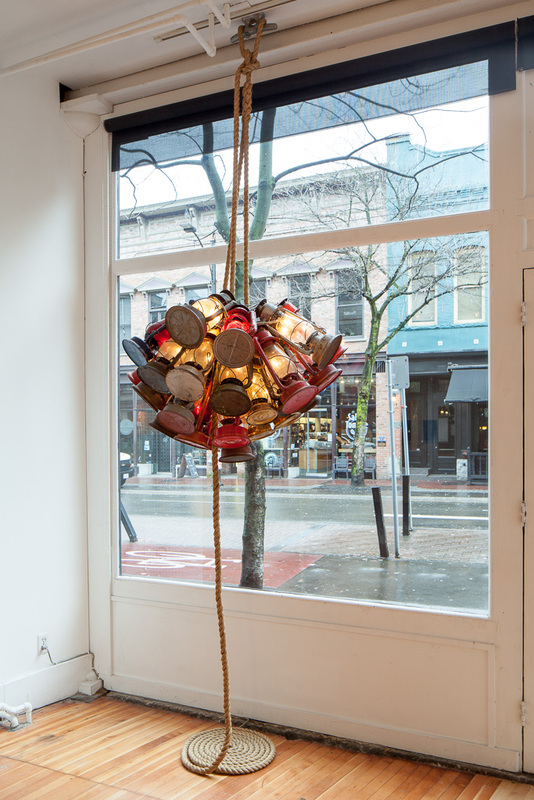 Until We Have A Hellicopter, Beacon For The Moonshined Wanderer (Chandelier), 2009. Lanterns, light strand, Manila rope, twine, marine cleats. Courtesy of Naudia and Mark Mache.